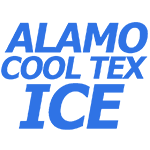 Alamo Cool Tex Gel Ice Bags can be used to keep vegetables, flowers, fruits or medical supplies cool and fresh. Freeze and use as an ice pack. They are refreezeable and reusable.